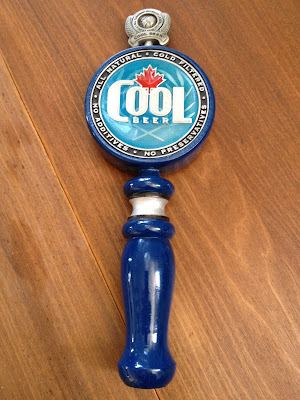 This is a nice Cool Beer Draft Tap handle to add to your collection. Condition is excellent and colours are bright. The emblem on top reads "All Canadian Superior Lager" Finest Quality" on both sides. Around the circular part it reads "All Natural. Cold Filtered. No Additives. No Preservatives." 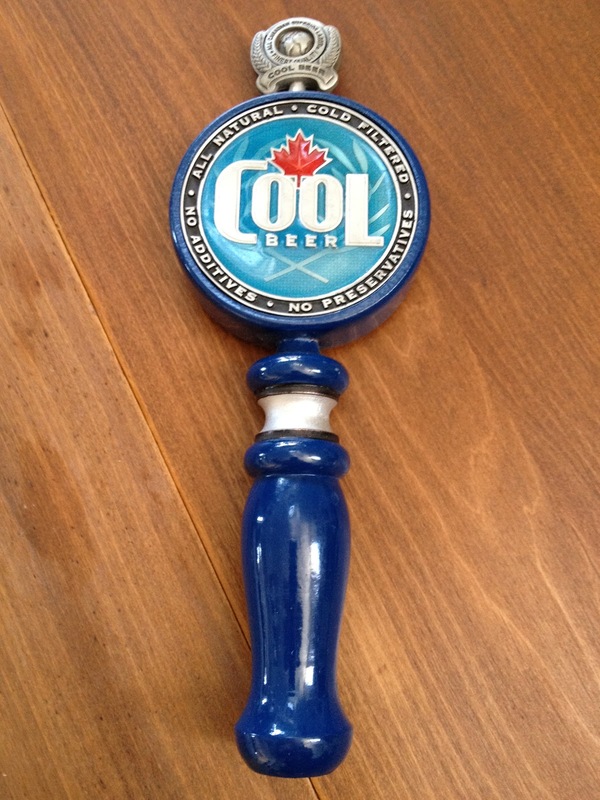 This is not a Molson's beer tap handle. 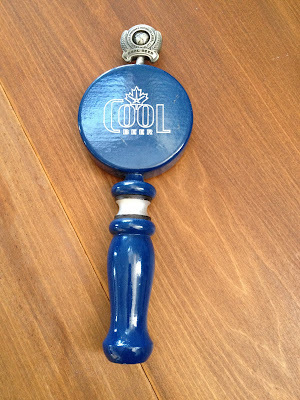 This is by CooL beer in Etobicoke Ontario.